The kids want their own rooms. What?! 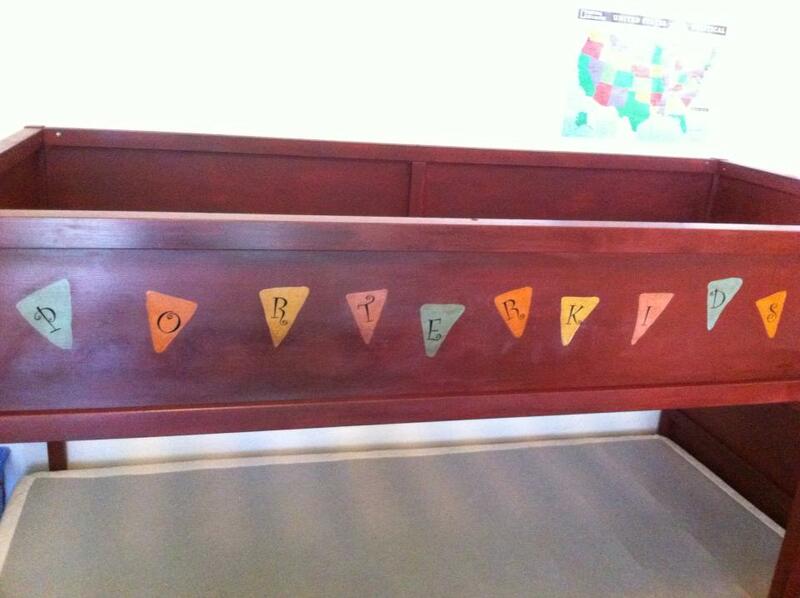 Come on…can’t you guys just stay little forever and share the little Ikea bunk beds I worked so hard to make cutesy? Sigh. It’s ok. It’s ok. It’s time. It’s been a process. 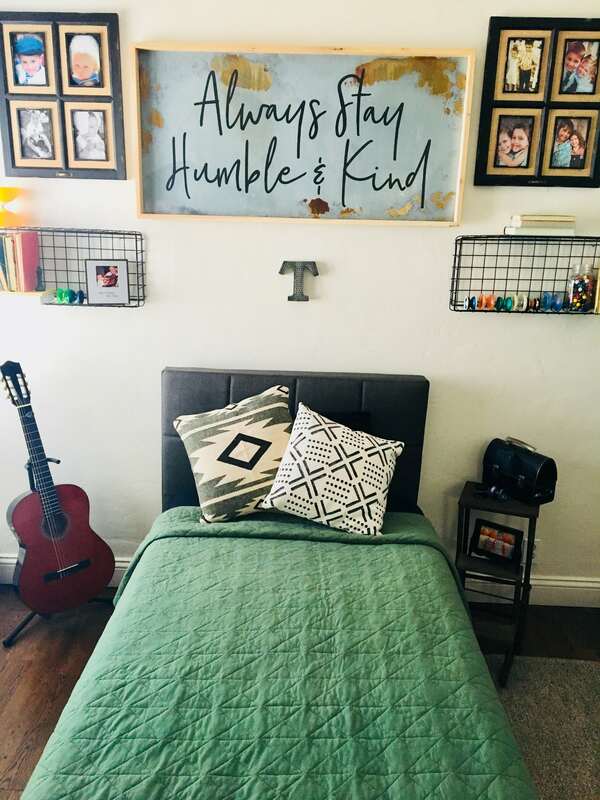 Bed swapping saga…can I get an AMEN from all you parents out there?!!! Our youngest was almost 4 before that sweet little bunk moved to their own room. Their room was right next to ours, but I still had trouble sleeping. 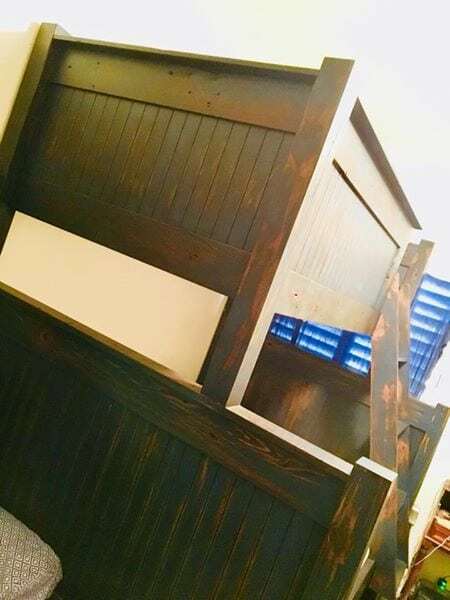 Less than two years ago we had a beautiful custom, twin over full, bunk bed made with Porter Barn Wood. Gorgeous gorgeous finish! Well gosh darn, our 1945 house is cozy. Small rooms. And that sucker was a beautiful monster that took up a heck of a lot of space. There was also the epic middle of the night throw up incident where the top bunker couldn’t make it down the ladder to the bathroom in time…seriously…EPIC. I’ll spare you the details, but let’s just say only one out of four walls escaped the splatter of dinner remnants. So…it’s time. The kids want their own rooms. Thomas and I moved ourselves over to the guest room. We gave Teak our room and Pepper stayed where she was. Through the years of mattress and bed transitions, I’ve researched. Tried things out. I’ve settled on several brands and products we like. Both kids wanted water beds. Yeah. I know, total throw back. I hate the look, feel, and function of the traditional plastic water filled bladder in a wooden framed box. Yuck, putting sheets on those kind of waterbeds are the worst! Let me tell ya folks, we’ve come a long way. Check out soft sided waterbed mattresses from www.waterbeds.com. We chose Pure Beech brand sheets from Bed, Bath, and Beyond. Target had the perfect colors and styles of bedspreads for each of my kiddos. And I bought two throw pillows from Hobby Lobby. Ever since the vintage market (see my “HAPPENINGS” page) I had my eye on a darling sign from Perspective Designs. (Thanks so much Matt & Heather!) It’s the absolute best sentiment above my sons bed. I may have teared up a little when I received it. My Teak is growing into quite the young man. Not gonna lie, it’s kinda been rough on this smushy hearted momma. I miss his tiny voice…but his kindness and humility hasn’t changed much. The mix of metal and wood is perfect. The headboard and bedspread pattern reminded me of his love of skill toys. (Notice the plethora of yo-yos and rubix cubes.) And I had to include, bedside, at least one of the instruments this musically talent kid is learning! 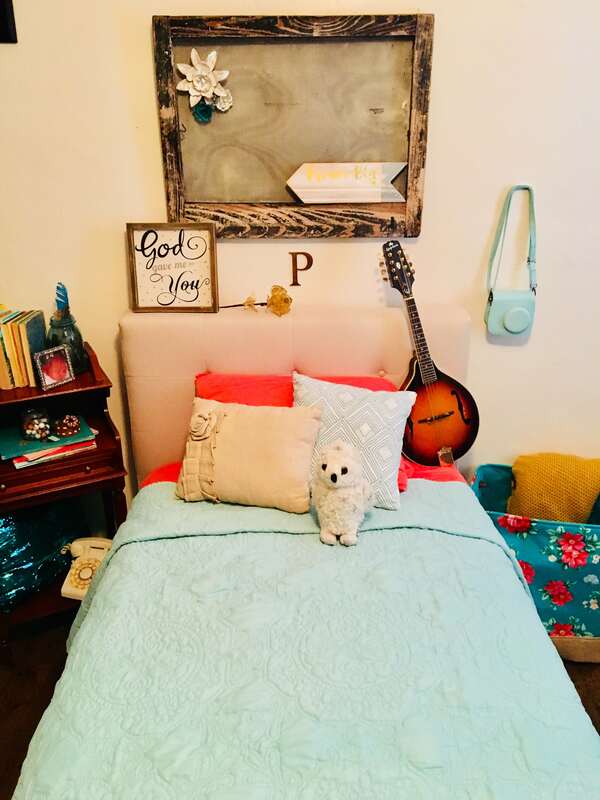 My Pepper’s room is such girly fun! 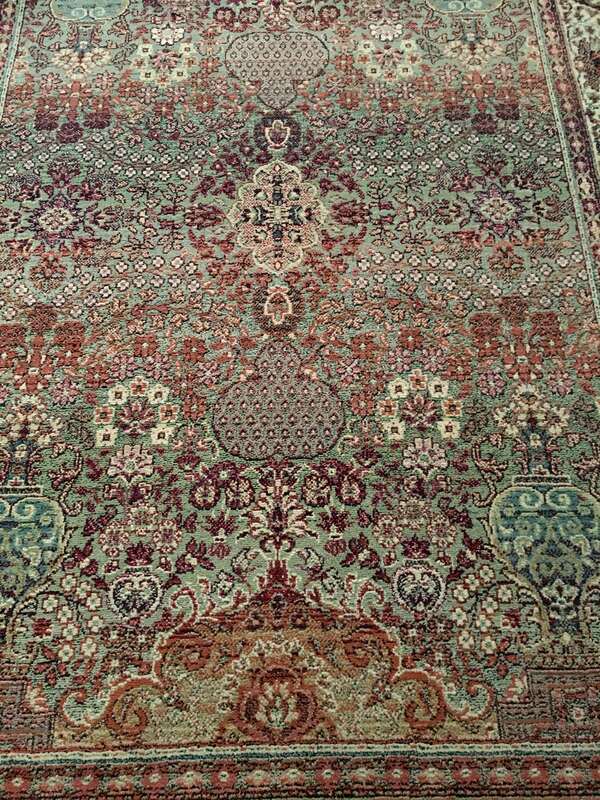 I snagged the rug from my mother in law who found it in a storage unit. I’ve saved it for months knowing this was the inspirational canvas to coordinate the rest of the room with. The sheets and aqua bedspread are so cheery! I shopped my own house and came up with the vintage black window screen above her bed. It’s special to me as it’s one of the original screens off my childhood home in Iowa. The magnetic metal flowers are so cool! (Thanks Salvage Co.!) Strength and beauty…just like her! 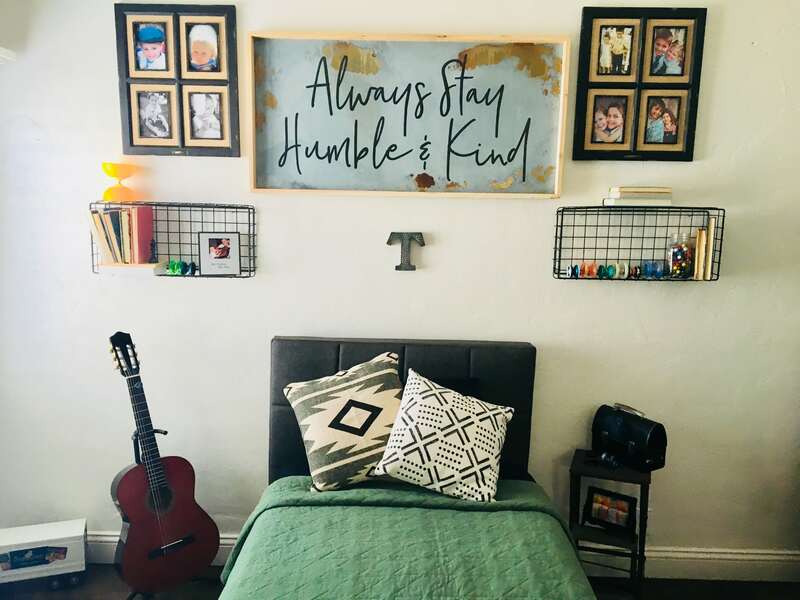 Favorite colors and knick knacks are sprinkled throughout her very own space. We’ll work on simplifying and organization as we go. For now, she still loves stuffed animals and dress up so I’m hanging onto that as long as I can! I love how their rooms really are reflections of each of them. Let’s not pretend that I didn’t tidy it up for some decent photos! They’re still learning how to attain a nicely made bed. 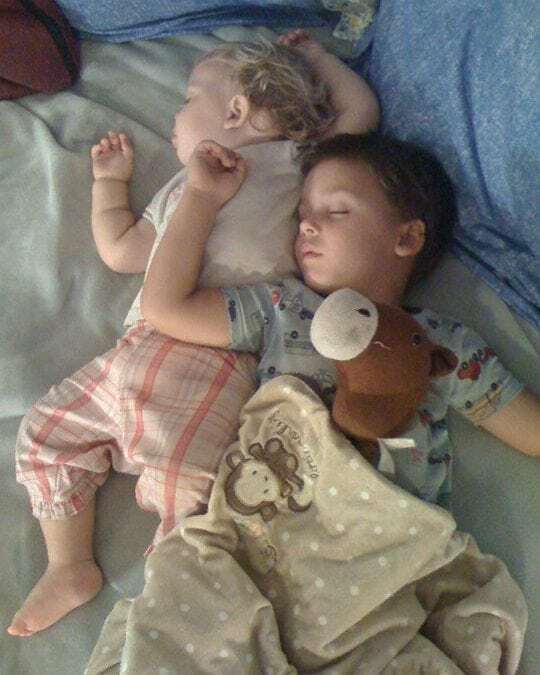 As they grow and change so will their rooms, but for now…I’m gonna hang on to this sweetness! SNUGGLES AND BLESSED DREAMS YA’LL!